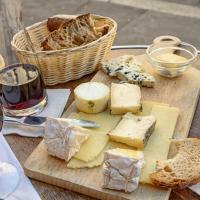 Paris seduces its visitors year round with its faultless food scene. Take your appetite on a wandering outing through Paris’ 11th arrondissement; the crème de la crème of the capital’s culinary world. Taste the refined, local flavours of one of the most dynamic neighbourhoods as you soak up the vibe and try the iconic dishes loved by many. Join a local as you weave your way through the northeastern neighborhoods; particularly the historically working-class 11th arrondissement, where lower cost of living has allowed entrepreneurs to flourish and the food scene to thrive. Any food-focused traveler will be spoilt for choice, with an array of hip bars and gourmet restaurants making the 11th an ideal home to satisfy your tastebuds. 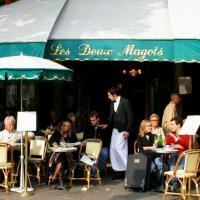 Stop off at sun-lit terraces serving puff pastry stuffed with foie gras and duck. Pause at hidden, unsuspecting buildings on quiet streets with breathtaking panoramas of the city’s stunning rooftops. Try a bold cocktail and enjoy the vibrant atmosphere of a cosy, corner cafe. The French capital has plenty to offer your palate; through street food, cheap eateries and michelin star restaurants; you will never be bored of dining out in this delicious city. Stop by Café Charbon in the lively Oberkampf district which has been a spotlight for over 100 years. With stylish vintage décor, friendly staff, and cheap drinks, locals can be found sipping away at the restaurant-bar all week long. Try Franco-Japanese fusion food for breakfast, lunch, or dinner at Le Petit Keller. Imagine donburi bowls with marinaded, poached eggs, and chocolate quenelles with brandy-soaked figs and cream for desert coupled up with a delicious, organic wine. Zig-zag your way to Chambelland bakery; the gluten-free bakery and café with its own mill that grinds buckwheat and rice flours. 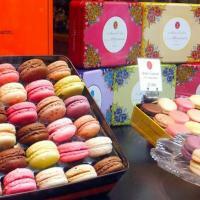 Taste a variety of traditional tarts, pastries, breads, chouquettes, sugar-crusted puffs and choux with a gluten-free twist. 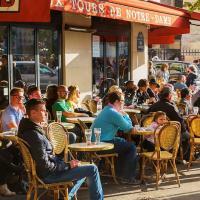 The lively neighbourhood is known for its wide range of cuisines that reflect the diversity and working-class nature of the communities of Paris. Many cafes, restaurants, delis and bakeries opened over a century ago, and are now local institutions, where community spirit and great food harmoniously combine. Take time to get to know your local, talk about your favourite foods and discover insider tips of the best local places to grab a snack, sip a cocktail or get your caffeine kick on the rest of your trip.